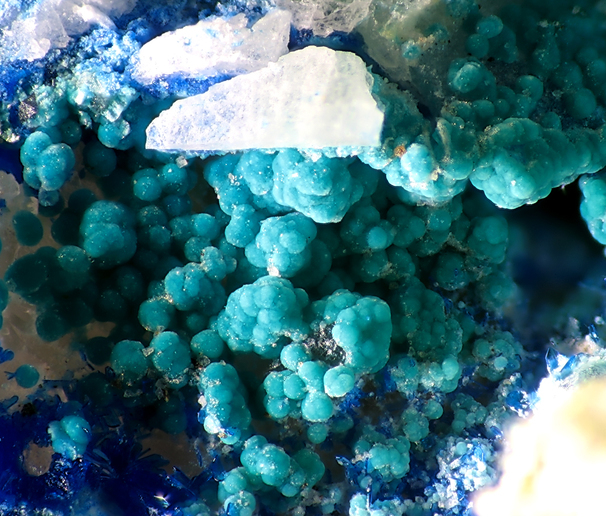 Tlalocite: Mineral information, data and localities. 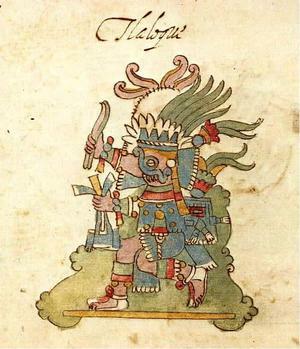 Named after "Tlaloc", the Aztec god of rain, alluding to its high water content. May be confused with quetzalcoatlite. Stützite 3 photos of Tlalocite associated with Stützite on mindat.org. Tlapallite 3 photos of Tlalocite associated with Tlapallite on mindat.org. Teineite 2 photos of Tlalocite associated with Teineite on mindat.org. Azurite 1 photo of Tlalocite associated with Azurite on mindat.org. 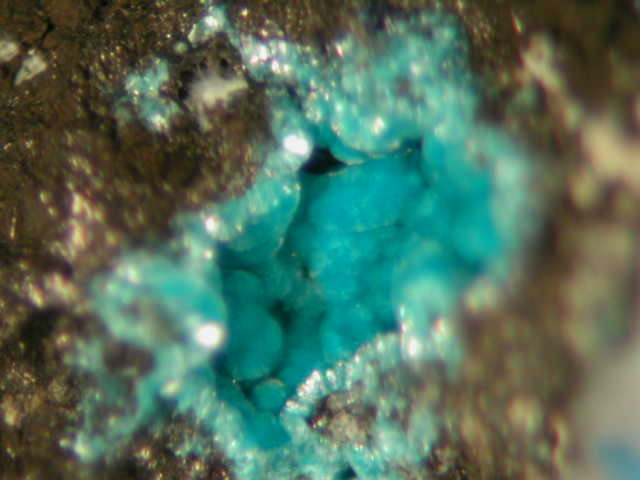 28.4.5 Oboyerite H6(Pb,Ca)6(Te4+O3)3(Te6+O6)2 · 2H2O Tric. 28.4.16 Cuzticite Fe3+2(TeO6) · 3H2O Hex. Mineralogical Magazine (1975): 40: 221-226. American Mineralogist (1976): 61: 504. 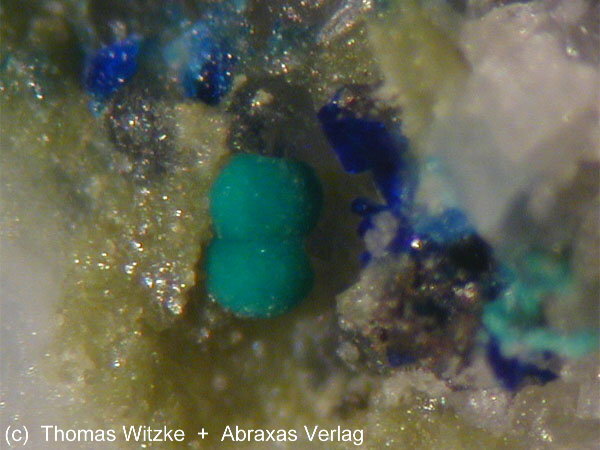 Geological Survey of Canada, Scientific and Technical Notes in Current Research: 78-1C: 104.